Sudeep was born on 2nd Sep 1973 in Shivamogga, Karnataka. His birth name is Sudeep Sanjeev, he prefers to use Sudeep as his screen name. He earned an Engineering degree from Dayananda Sagar College, Bangalore. He used to play cricket during his college days and even played in university level tournaments. He is also the captain of Karnataka Bulldozers team in CCL. He started his career with TV serial “Premada Kadambari” aired on Udaya TV. 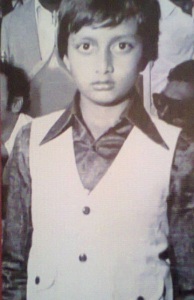 His movie debut was with Thaayavva in 1997 opposite Charan Raj and Umashree. His major break was after blockbuster hit Huccha in 2001 opposite Rekha Vedavyas. Huccha film was remake of Tamil movie Sethu directed by noted veteran director Bala starring Chiyaan Vikram. He entered Bollywood through Phoonk in 2008. He rose to stardom in south Indian after his Tollywood blockbuster Eega in 2012 alongside Samantha and Nani. 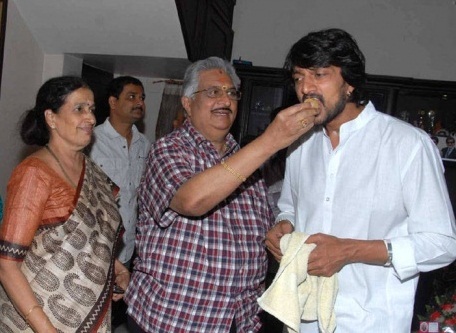 At present he owns a production company named Kiccha Creations and produced several kannada movies. Sudeep also ventured into direction with My Autograph in 2006. He continued to direct several commercial hits like #73 Shaanthi Nivaasa, Veera Madakari, Kempe Gowda, Just Maath Maathalli etc. 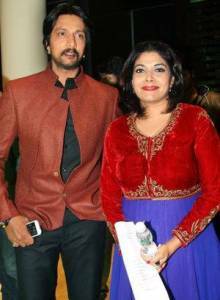 He hosted TV show Bigg Boss on ETV Kannada and Asianet Suvarna. His was born to Sarovar Sanjeev Manjappa, a businessman and Saroja Sanjeev, a housewife. 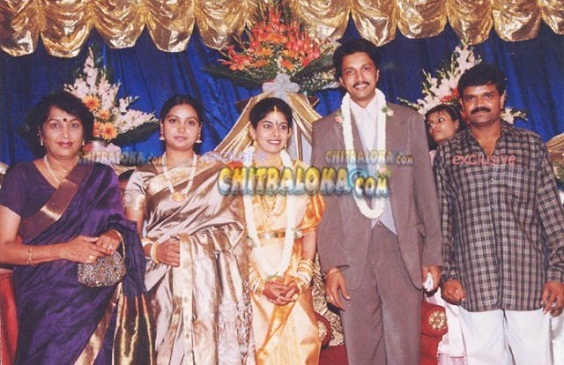 He is married to Priya Sudeep and the couple gave birth to a daughter, Saanvi in 2004.